How many thousands of dollars in wine and liquor have you thrown out? 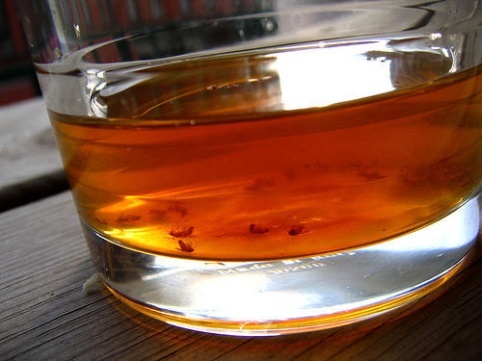 The purpose of this web site is to assist your establishment and its staff in eliminating those pesky fruit flies. Fruit flies are an ongoing challenge no matter how clean you keep your work and customer areas. The reason you still have them no matter how well you clean is the fact that you are treating the symptom and not the disease. The next few pages are going to walk you through everything that you ever wanted to know about fruit flies. Then, we are going to show you how to get rid of them for good. Although every bar and restaurant is a little different, the base of the problem is relatively the same in each establishment. You must get to the root of the problem in order to eradicate the flies in your location, and then follow a maintenance program to keep from re-infestation. This information is broken down in five sections. So you don’t have to empty, cover, remove, or protect ANYTHING when you use it. refund your entire purchase price. spray them, drown them, or smoke them out…..